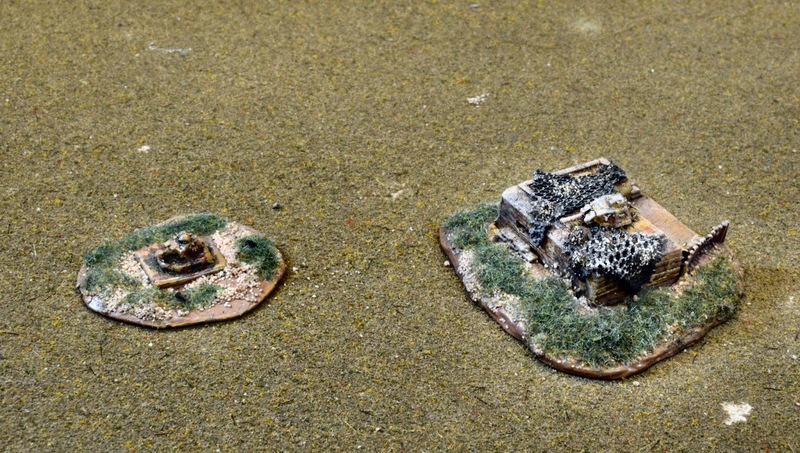 I've played the FoW and Battlegroup 'hit-the-beach' scenarios, and the BG scenario is a lot better. The FoW scenario has you roll a die for each landing craft (and DD), on a 5+ it doesn't arrive that turn. 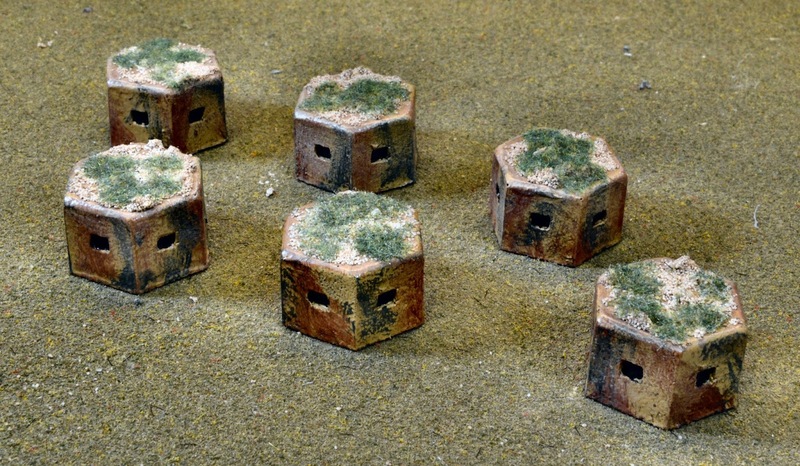 BG rules have the landing craft roll dice for movement and get that much closer to the beach. Admittedly, the BG rules need a lot more table devoted to the water than FoW does. Amazing stuff! Great attention to detail too! WOW !!!!! Will try similar on some of my bunkers ! Thanks for the inspiration ! Some nice work there. Do the Heroics & Ross AVRE facine carriers come with the facine fixed in place? I ask because I do believe that they are the wrong way round, i.e. the facine should be at the front of the tank. That said I see that the H&R website illustrates them backwards too! 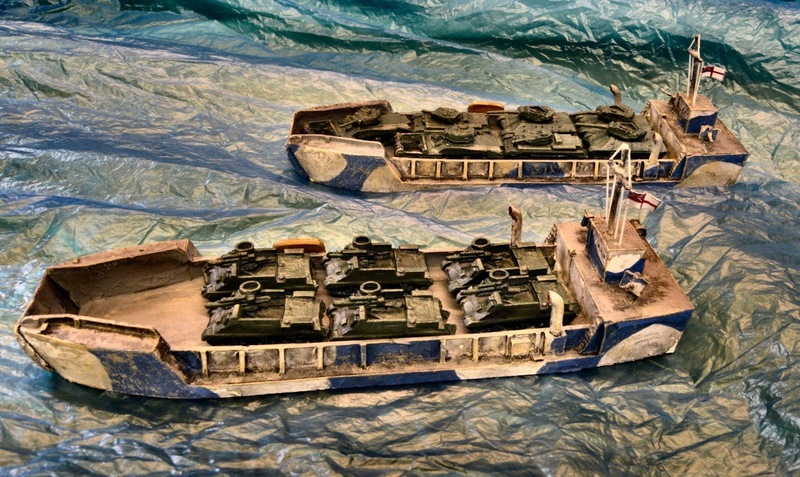 For the BG rules – you could just put a marker next to each landing craft to show how far "out" it was. That way there is no need for more water, just lower the number and when it is close enough put it on the board. Really impressive! Quite a collection, and quite well finished. I am intrigued by a couple of the items. There may be modelling / kit-bashing techniques I can learn and emulate. 1) Cammo netting. 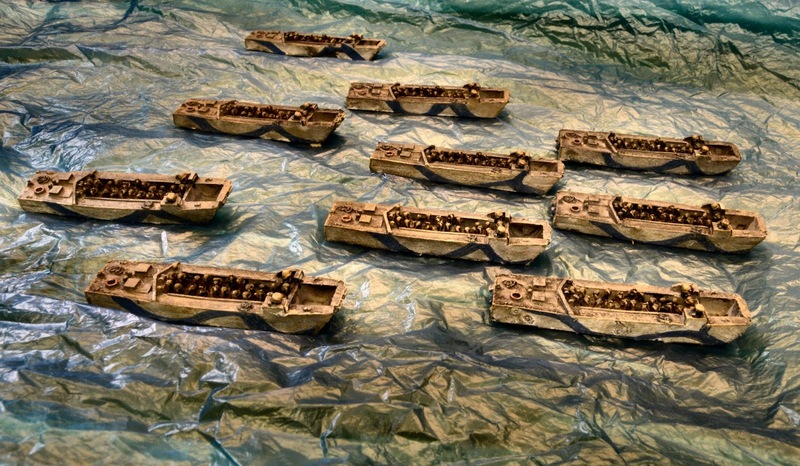 The first two pics show gun emplacements with and without netting covers. I presume that the nettings are scratch-built? Any details on how you constructed them will help guide those who wish to copy-cat (like ME). I could see using a similar approach not only for AT gun emplacements but almost any artillery position. 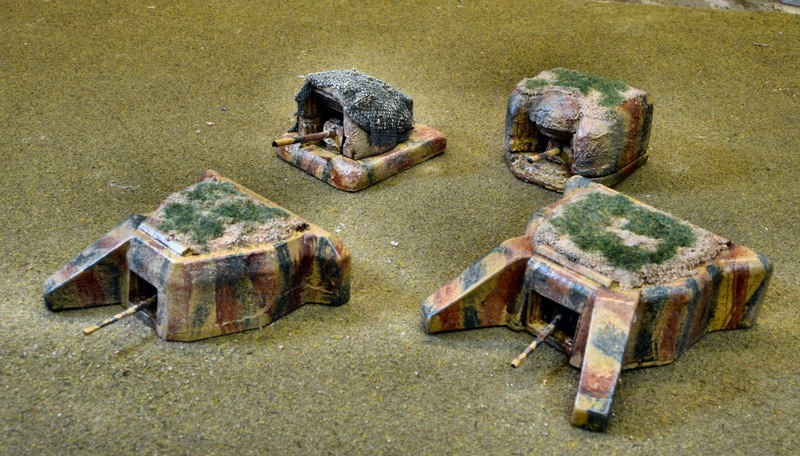 2) Tobruks with turrets. 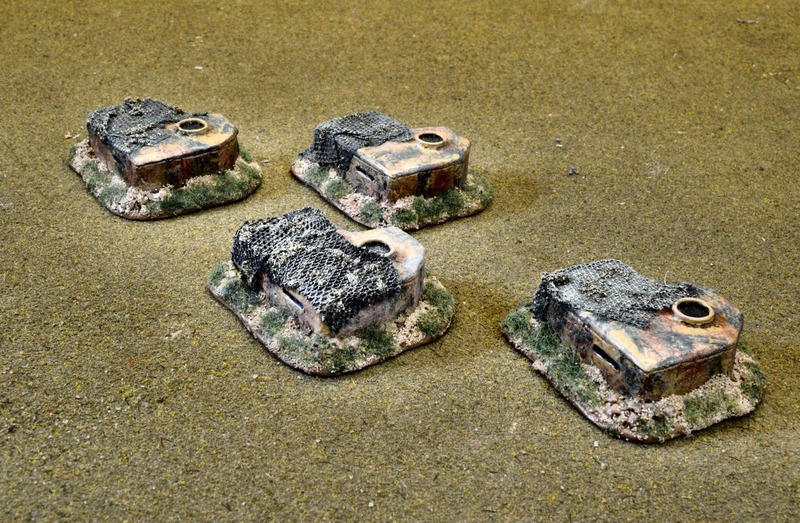 Do I correctly infer that you have taken surplus French tank turrets and applied them to the MG pits on the purchased Tobruks? Hmmmm. 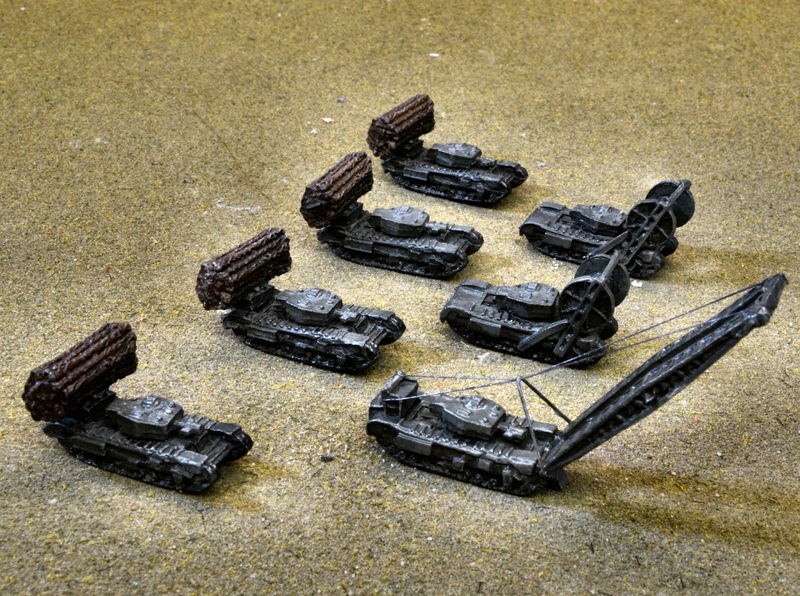 I have surplus French tank turrets in my spare parts bin, and have been considering how I might scratch-built bunker platforms for them. 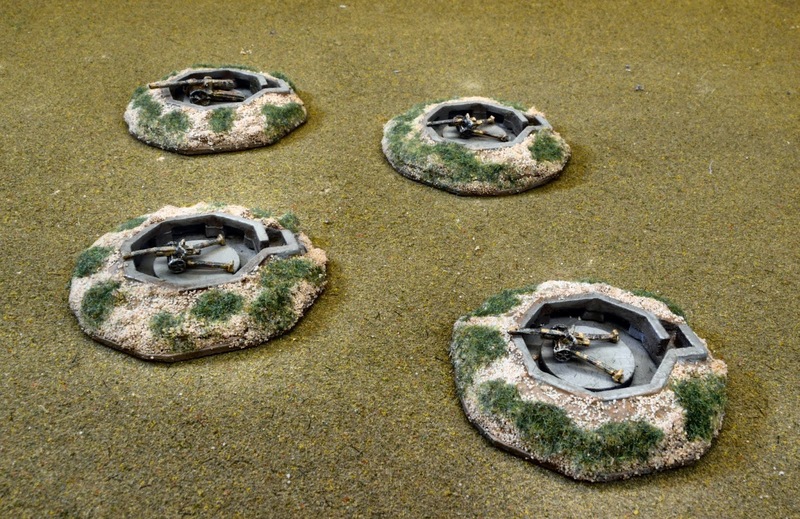 Simply dropping them onto finished Tobruk MG pits, now that's a new idea for me. Quite like it. 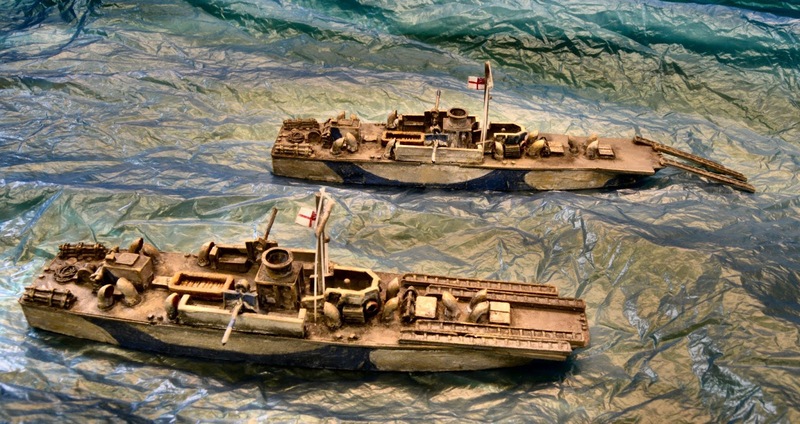 Churchill AVREs and fascines, yes you are correct they were usually carried on the front, but I also went by the one on the Heroics and Ros website lol. It comes as a separate piece with what I initially took to be the engine exhaust moulded on, but on reflection is probably meant to be the ramp the fascine was often fixed on to enable it to roll off the tank easily. However, apparently they were sometimes fixed to the rear, but this was frowned upon as it was a bit of a fire hazard over the engine compartment. 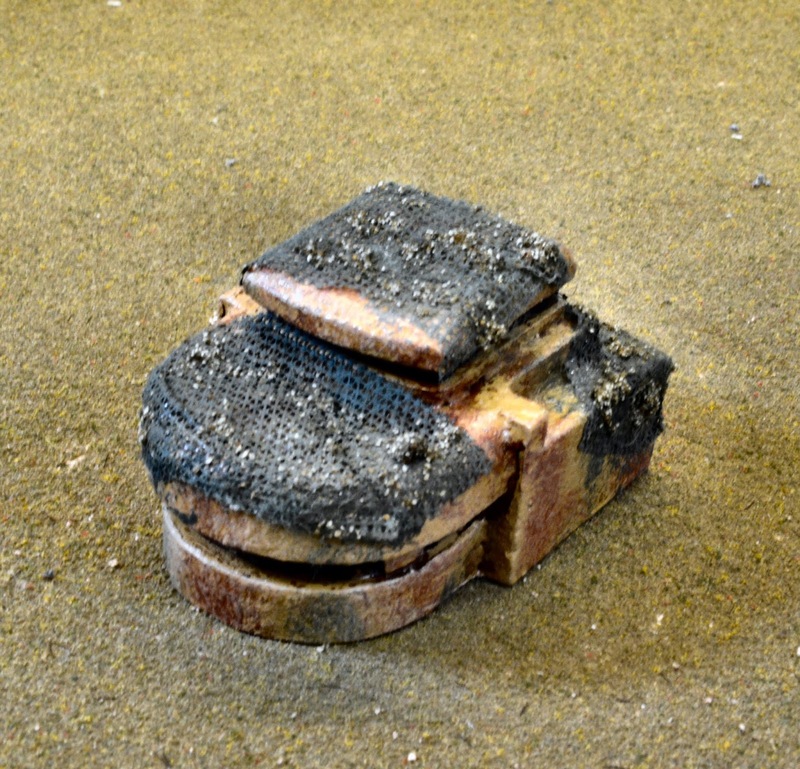 The cammo netting over the gun emplacements is some net curtain fixed over a frame made out of some wire mesh, sprayed green and with some blobs of basing material on it. 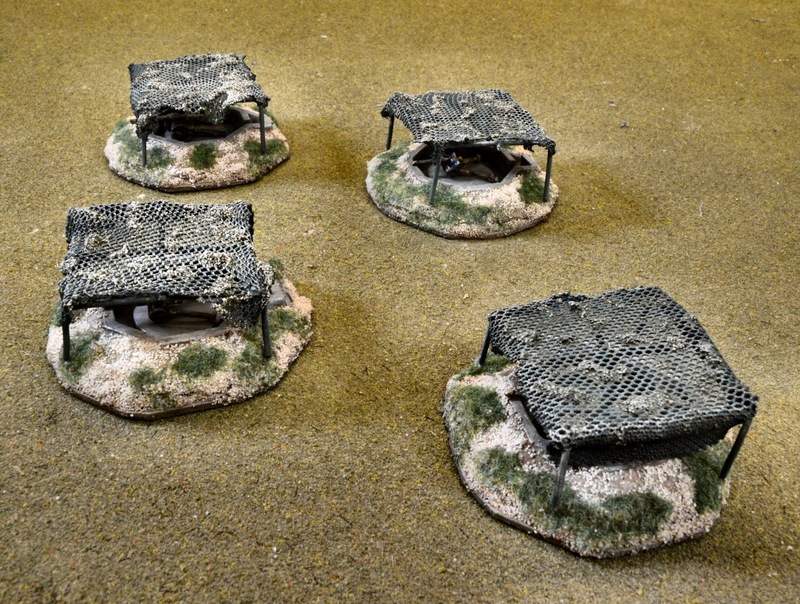 The tobruks with turrets are from Masters of Military, but good idea about using spare turrets, I hadn't thought of that! So I went looking for a photo of a facine being carried on the rear of a Churchill and found ths. It's on fire too, so that's a bonus. But it appears to be a normal gun tank Churchill, so what's the explanation for this? Is it a trial to see if the concept worked, and before they realised that it was a bad idea to put a huge bundle of firewood over the engine deck? Of course if the fascine is on the rear, you'd just have to back up next to the trench, etc., to deploy it. I use cheese cloth as cammo netting. But that's for 20mm scale. If they put the fascines on the front of the tank, how did the driver (or even the commander) see where they were going? Obviously you would, if the fascine was on the rear. But how many photos of a fascine carried on the rear can you find vs ones with it carried on the front?